Scripture tells us that at the end of time and space as we now know it, Christ will come and He will say to those who did His will; "Come, blessed of my Father and inherit the Kingdom of Heaven, because I was sick and you cared for Me". Visiting the sick and bringing Holy Communion to the shut-ins and nursing home residents is a special ministry at St. Margaret Mary parish. Those who are homebound and those living nursing homes may not only be sick and suffering, but they often are very lonely. 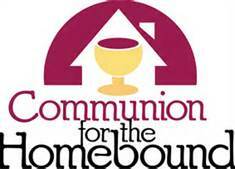 We are always in need of homebound and assisted living communion ministers. Please prayerfully consider joining us!